The cast of HBO’s mega-series, Game of Thrones, amped up their fashion game as they took a final collective turn on the red carpet for the New York City premiere of the show’s last season. Mother of Dragons Emilia Clarke stole the show in frothy blue Valentino tulle. Warrior goddess Gwendoline Christie wore a sweeping gown with an optical illusion print. Bride-to-be Sophie Turner rocked a sultry black mini and Jason Momoa towered over everyone in pale pink suede. The Mother of Dragons, Breaker of Chains and Master of the Red Carpet, Emilia Clarke, proved that every one of her many names were accurate in this Maison Valentino tulle frock. Louis Vuitton ambassador, Sophie Turner, bared it all in a corset-clad mini dress by the brand. Jon Snow making us appreciate a good head-to-toe black look — especially when it’s Givenchy. We can’t stop looking at Gwendoline Christie in this watercolor-esque custom number by Iris Van Herpen. Fringe and a beaded collar? Nobody does it as well as Lisa Bonet. Oh, and Karl Drogo managed to make dusty pink suede look masculine. Showing off her new lavender locks, Arya Stark proved that she’s all grown up in a black bedazzled gown courtesy of Miu Miu. The Red Woman took a break from her usual fire-y frocks in a white-hot Ronald Vanderkemp dress. This classic Dolce & Gabbana suit is given an intriguing twist by the actor who plays Jaime Lannister. One shoulder, sequins, slicked back hair — Natalie Dormer checked off all our boxes last night in this all-black Armani gown. 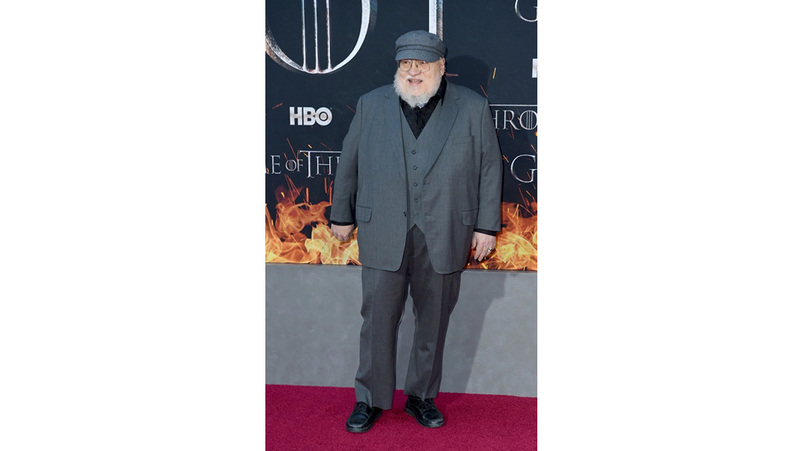 George R. R. Martin, the master storyteller and creator of Westeros, looked polished in a grey three-piece and signature flat cap. Season eight of Game of Thrones premieres on April 15.